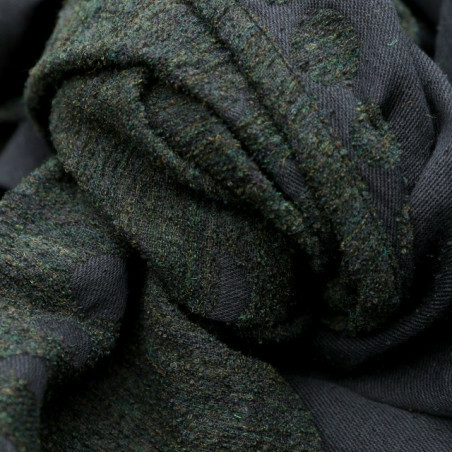 The colors of the deep mysterious forest with the feel of the softest moss. 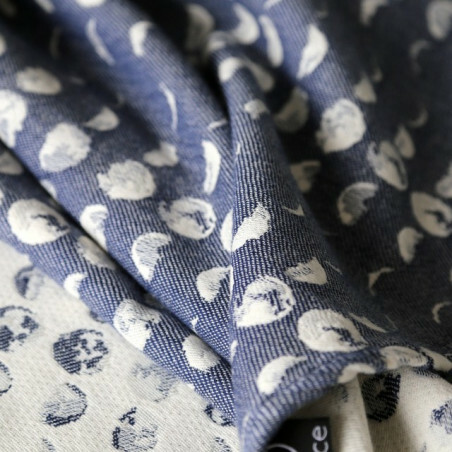 We already had cotton bouclee, and if think that your bouclee journey is complete, let me surprise you - this is not the case! 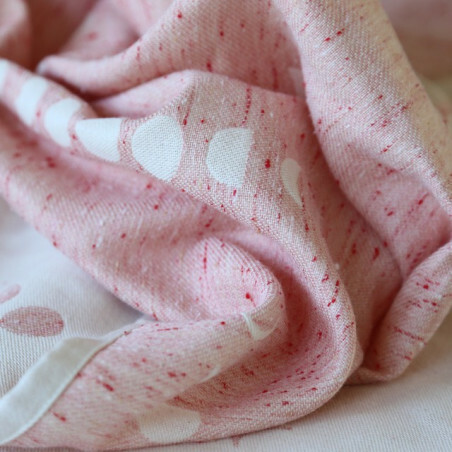 Baby alpaca bouclee feels like nothing you have felt so far. 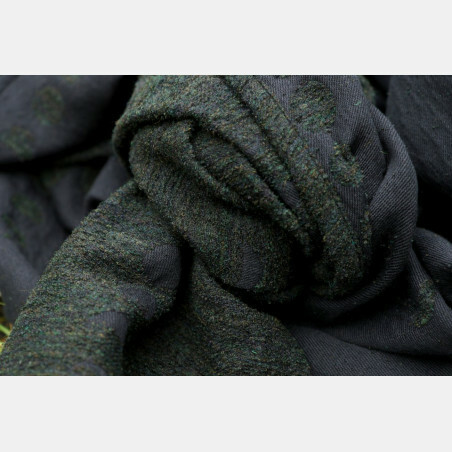 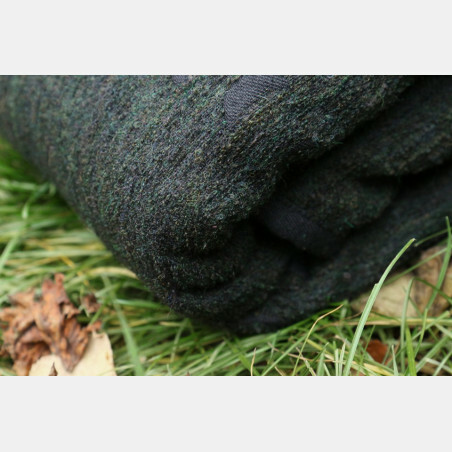 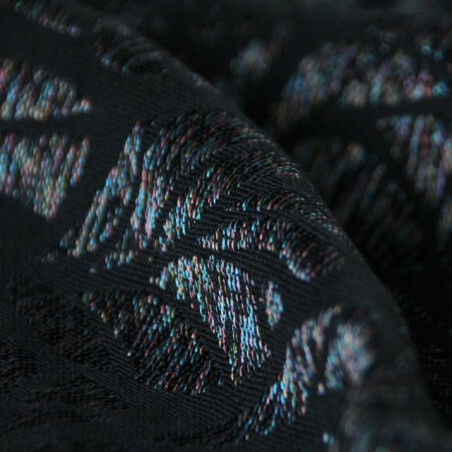 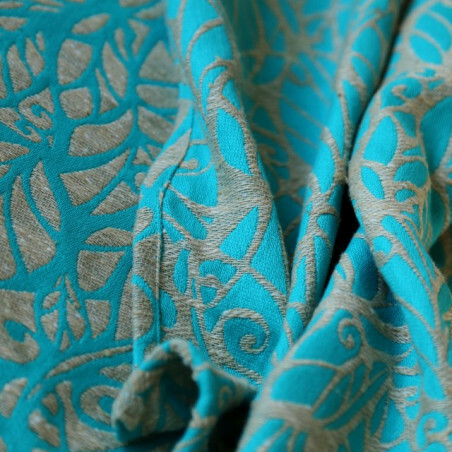 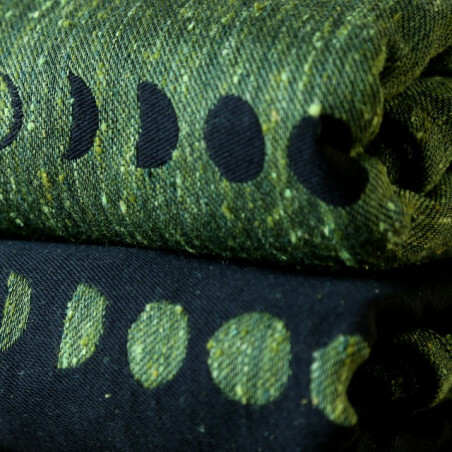 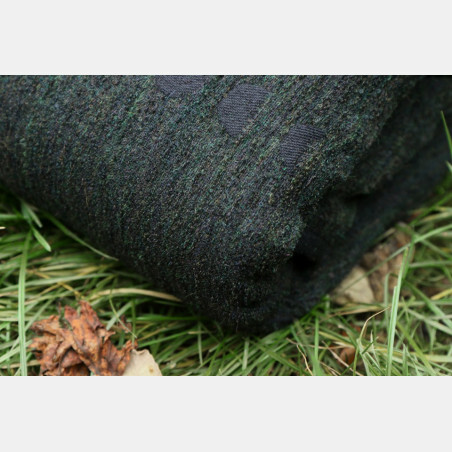 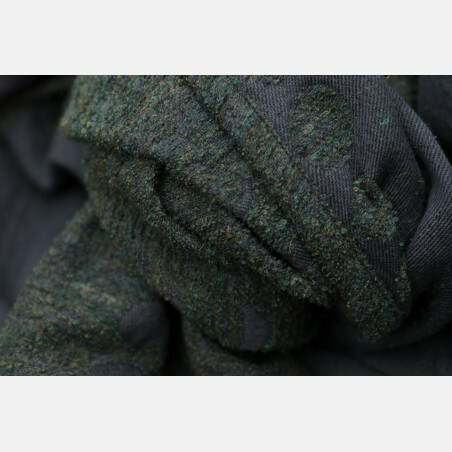 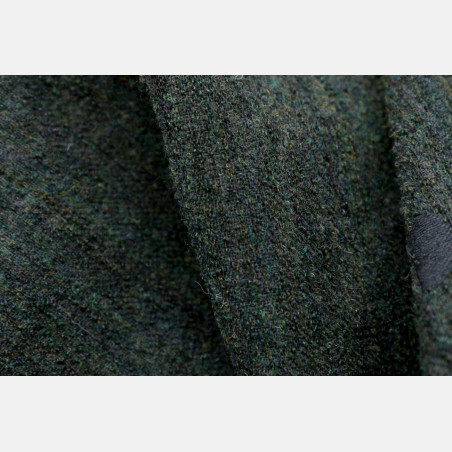 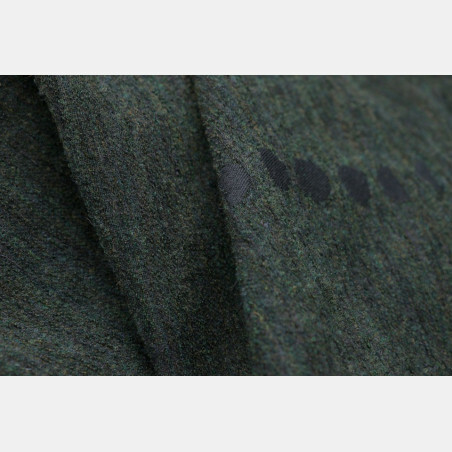 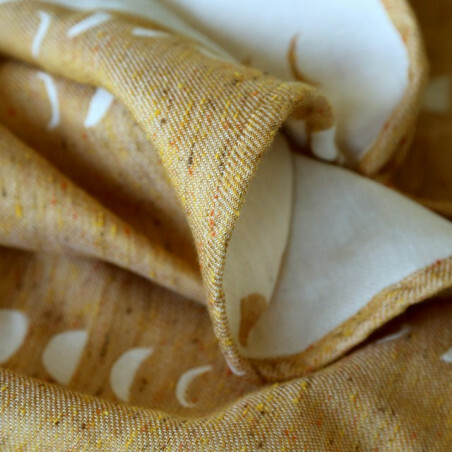 It's soft like the forest moss, and woven fabrics feels like a sea sponge in your hands. 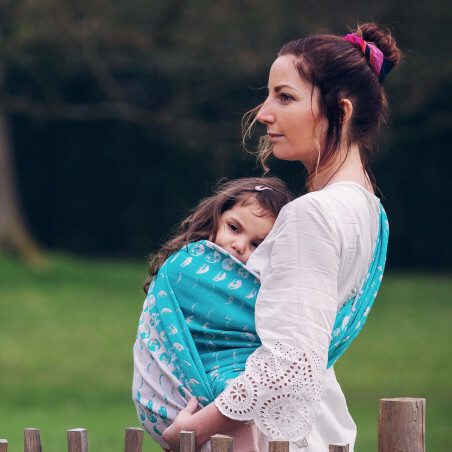 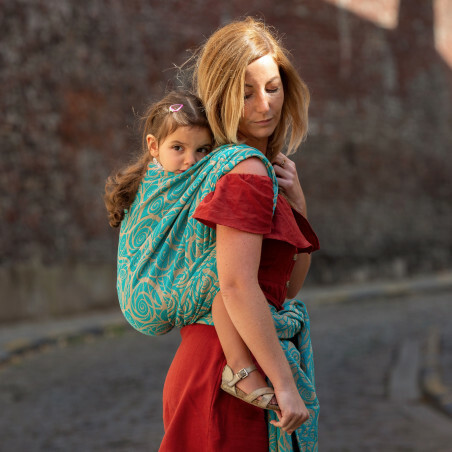 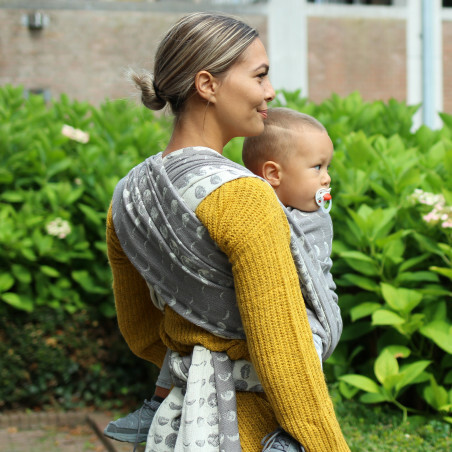 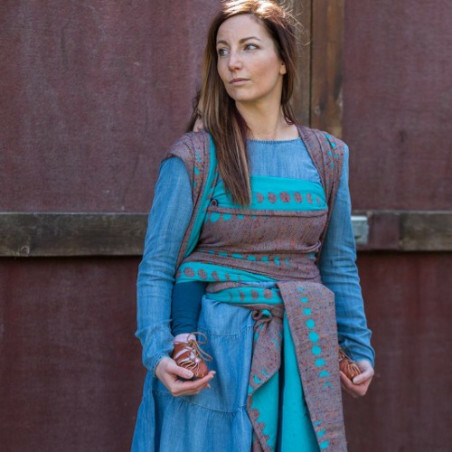 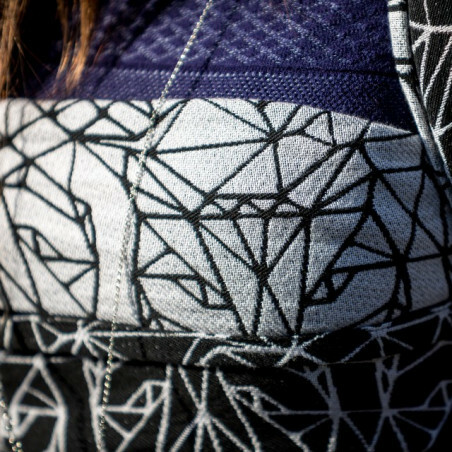 The wrap feels weightless, and wraps as a cozy, feather light blanket around your body. 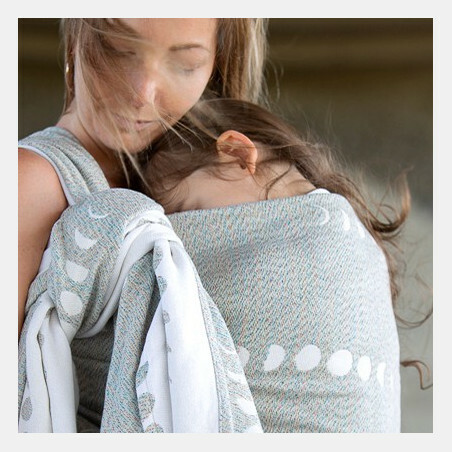 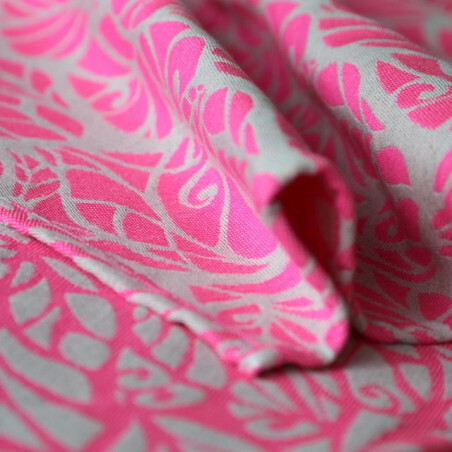 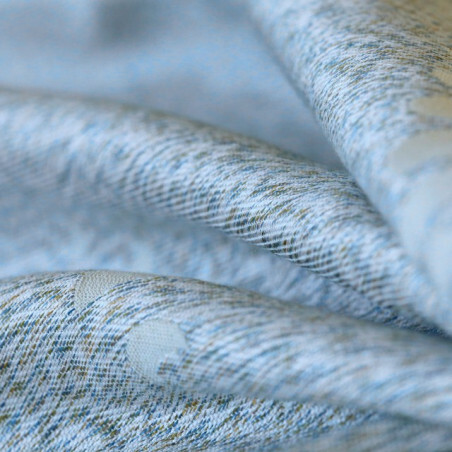 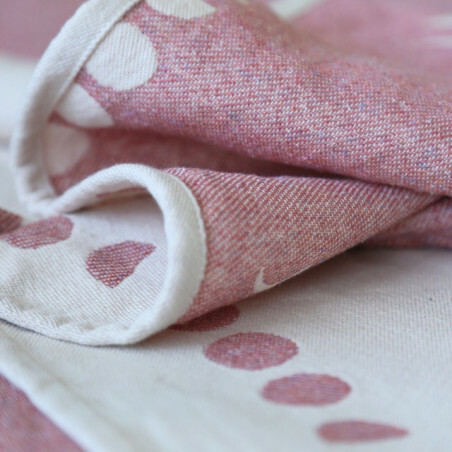 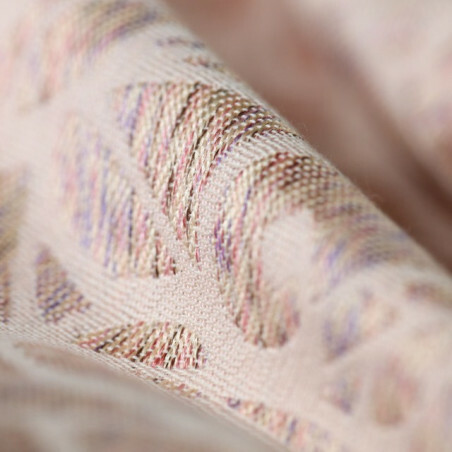 This wrap is a tactile heaven, the cloud of softness. 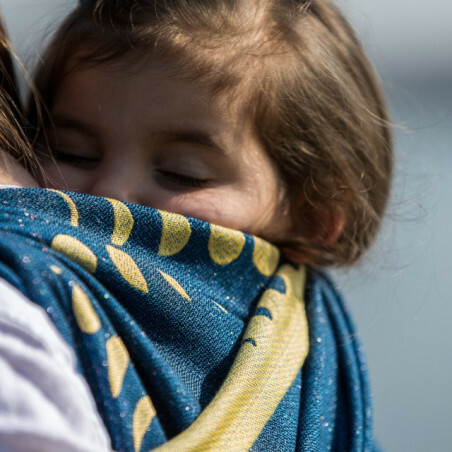 Suitable from newborn to toddler. 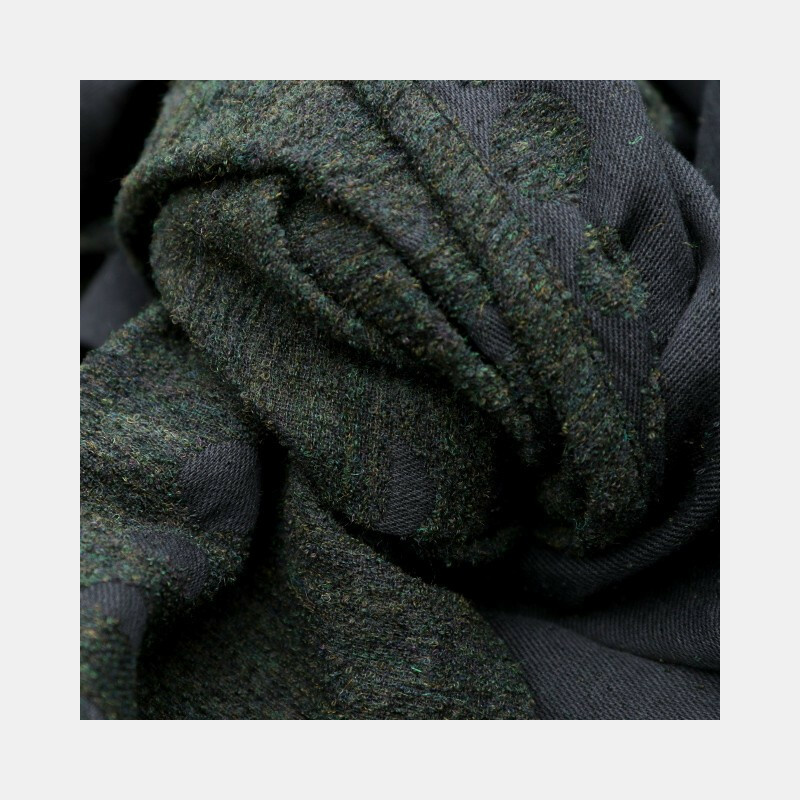 Did you know that baby alpaca has the softness of cashmere, sparkle and hairiness of mohair, the gentleness of angora and the resistance of merino wool? 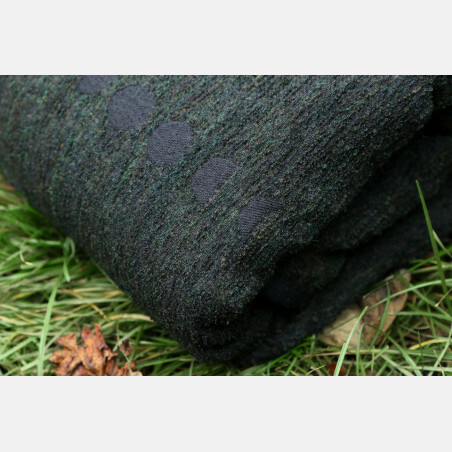 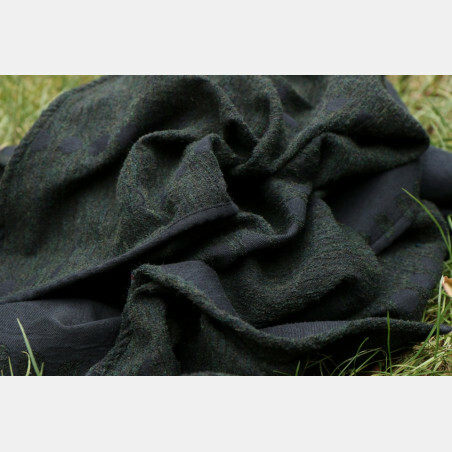 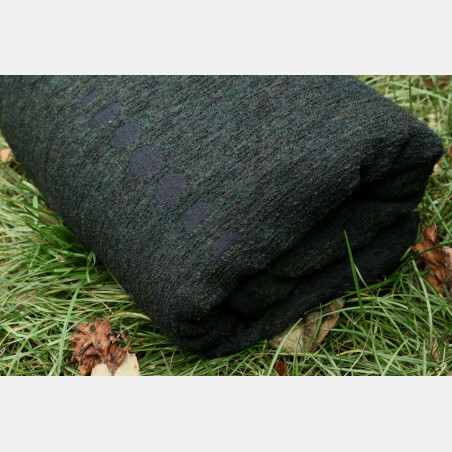 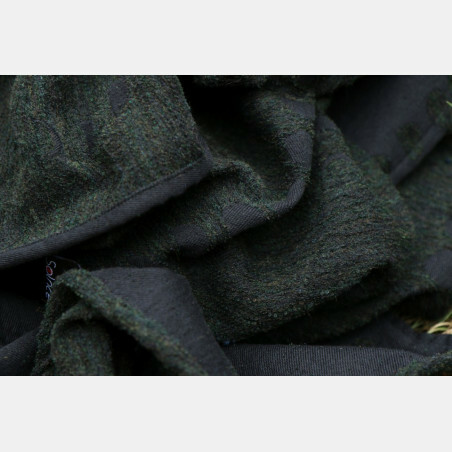 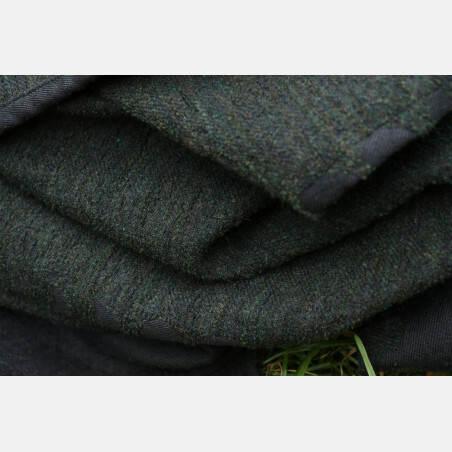 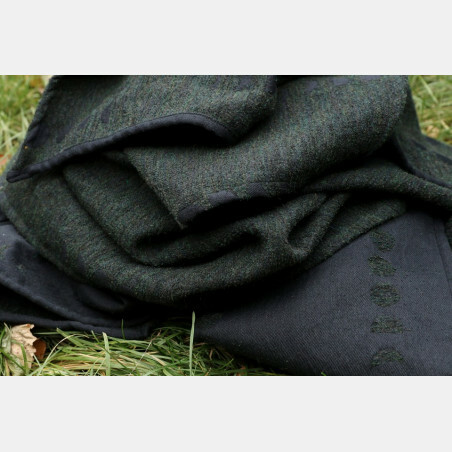 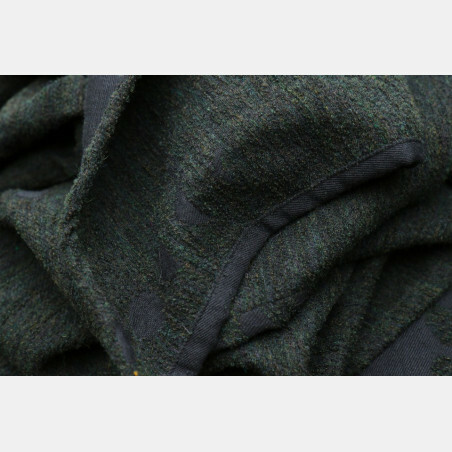 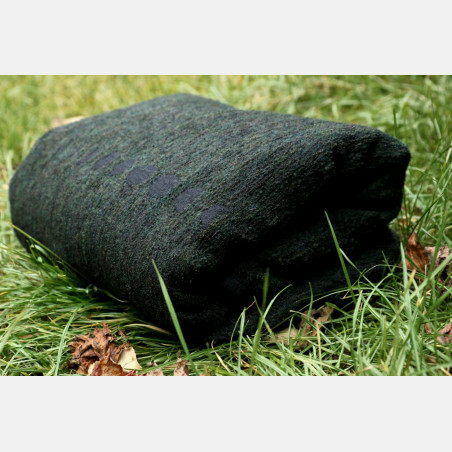 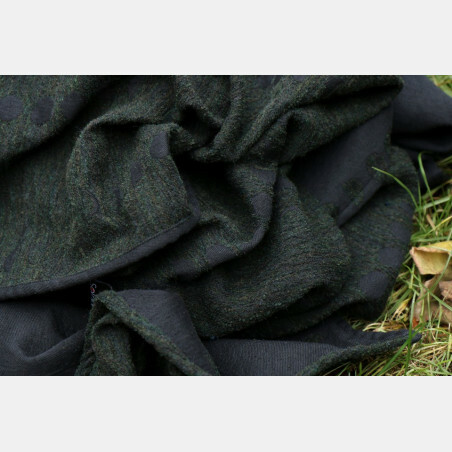 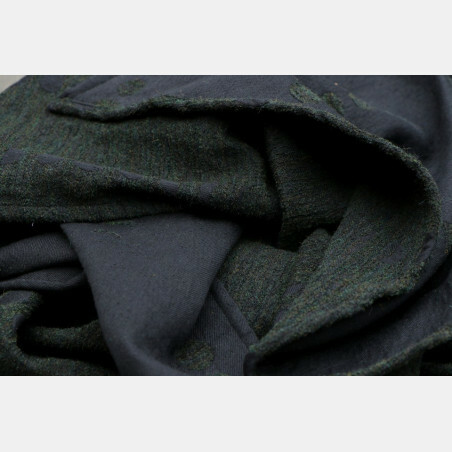 It is seven times warmer than any other wool fiber as it has natural insulation and preserves your body warmth.